She's Fantastic: Star Wars: Attack of the Clones ZAM WESELL! Star Wars: Attack of the Clones ZAM WESELL! 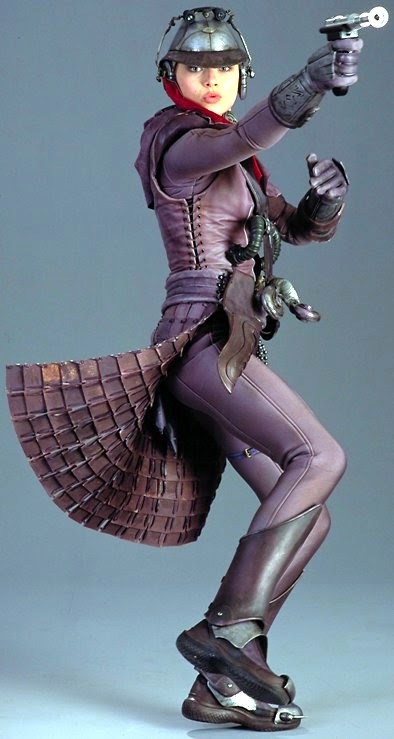 Zam Wesell is a shape-shifting Clawdite bounty hunter from the planet Zolan who appeared in Star Wars: Episode II - Attack of the Clones as part of the plot to assassinate Senator Amidala. Her natural form is that of a reptilian humanoid, although she usually appears as a human female. I've seen Episode II a few times but honestly can barely remember her character. The reason why I felt compelled to pick up this figure (besides it being on clearance) was that I had picked up this one-shot comic years ago titled Star Wars: Zam Wesell (because it was drawn by one of my favorite artists, Ted Neifeh) and I really began to like the character and her backstory. There have been multiple figures of Zam Wesell produced by Hasbro, but this figure with its alternate head and numerous accessories seems to be the fan-favorite. You can find out a lot more about this character over at Wookiepeedia. There's a lot of information about her if you're interested. But in the meantime, let's check out the toy! I love the classic packaging on all these Vintage Collection figures, right down to the Kenner logo (Kenner was absorbed into Hasbro in 2000). I apologize in advance about the quality of these pictures. There's something about the semi-translucent flesh colored plastic in these Star Wars figures that I find extremely difficult to photograph correctly. I had similar problems with my previous Unknown Women of Star Wars post. Zam comes with a ton of accessories: (1) a helmet with removable "binocular visor", (2) an alternate Clawdite head, (3) a "pinned-up" face veil, (4) an "unpinned" face veil. (5) a pistol, and (6) a rifle. The "binocular visor" seems a little oversized and always casts shadows onto her face. I prefer it removed. The picture I took of the "unpinned" veil didn't come out properly, but the piece fits into the peghole on the right side of her helmet to display it as if it were unpinned from one side and left dangling. The pistol also fits in her holster nicely. 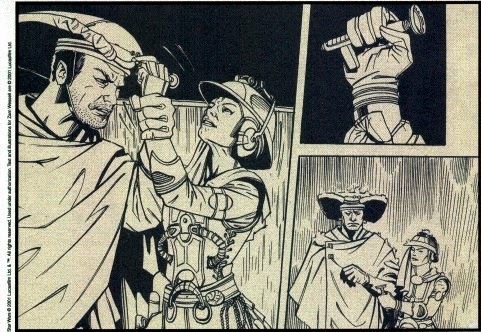 Here are come pics from the comic and a photo of Leeanna Walsman as Zam Wesell in Attack of the Clones.